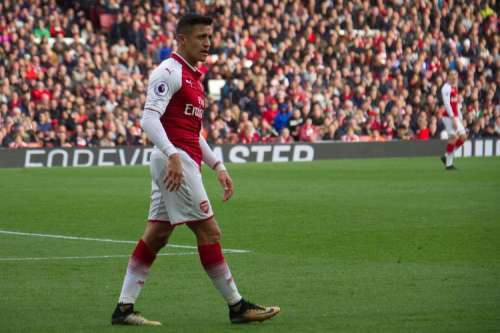 Every time the transfer window arrives, many football fans are wondering whether Alexis Sanchez will leave Arsenal or not. Now that we are edging closer to his move to Man United, we ask ourselves: what next for Arsenal? Borussia Dortmund want-away Pierre Emerick-Aubameyang is reportedly getting closer to joining Arsenal, and if true, this is good news. The Gunners boss Arsene Wenger refused to discuss more detail about the Gabon international transfer, as reported by Goal. If Auba officially joins Arsenal, that will surprise many as he was once heavily linked with AC Milan and the Chinese Super League. Also, he won’t be able to play for Wenger’s side in the Europa League, given BVB were dumped put of the Champions League and forced to play in Europe’s second-tier competition along with Arsenal this season. It is reported that Sanchez will join Manchester United instead of league leaders Manchester City. Regardless of any clubs he will join, the most important thing for the French manager is to find the most suitable replacement for the former Barcelona winger as soon as possible. The versatile Brazilian winger has emerged as one of the hottest properties in European football amid the arrival of Neymar as the world’s most expensive footballer. This season, the 20-year-old boy has netted seven goals and provided five assists so far. In his first season, he was equally impressive with seven goals and four assists. His outstanding performances have attracted attention from Europe’s soccer heavyweights, including Arsenal. Brazil’s media outlet the Globo Esporte reported that Arsenal are in a favourable position to secure the player’s service. Other reports suggested that the FA Cup 2016/2017 winners will come short of bringing him in this January. 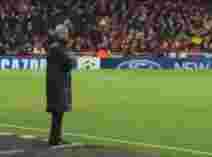 The Armenian performance with Jose Mourinho’s side has been declining. He has netted 13 goals in 63 matches since his arrival at Manchester United. However, he has only started twice in his last 16 games. Perhaps the division between him and Mourinho has grown to big to ignore, and now he seem to be on his way - most likely as part of a swap deal involving Sanchez. According to some reports, Sanchez’s move to Manchester United will heavily rely on Mkhitaryan coming to terms with Arsenal. Despite his limited time in the Premier League and at Manchester United, the Frenchman has proved to be a useful player. Martial is one of the most effective players with seven goals and three assists this season so far. The 22-year-old sometimes shows inconsistency, yet his skills and offensive threat to oppositions are undeniable. He still needs time to prove himself, but looks like a quintessentially Arsenal player. Unfortunately for the Gunners, Mourinho knows Martial has got plenty more to show in the coming months. The Frenchman is a talented and world-class footballer and has been targeted by Arsenal, Liverpool, and Chelsea. Last summer, The Gunners almost succeeded in acquiring his services, but Lemar’s employer AS Monaco refused to sell him following the departure of stars such as Kylian Mbappe, Bernardo Silva, and Tiemoue Bakayoko. Also, signing him can be very expensive for Arsenal, given Lemar’s 90 million euro estimated value. After the disappointing performance in the 2016/2017 campaign, the Algerian is finding his best form again under the Foxes new manager Claude Puel. He contributed to his team’s 14 goals this season. The 26-year-old is also being linked with a move to Liverpool this January transfer window. However, reports in his native country suggest that Mahrez will more likely arrive at the Emirates to replace Sanchez, rather than Coutinho at Liverpool.